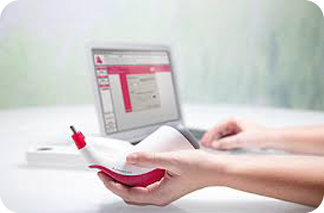 Our technology and expertise allow us to accept files from most intraoral scanners including Itero, Trios and Carestream. A wide variety of products can be accessed using this digital workflow. 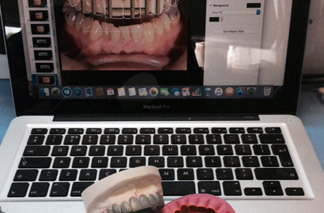 From single full contour restorations to more complex cases requiring a 3d printed model. Digital Smile Design, Conventional Diagnostic Wax Ups(following the principals of smile design) Putty transfer stents and Prep guides. From single screw retained crowns to complex full arch cases in a selection of different materials and on wide variety of implant platforms. 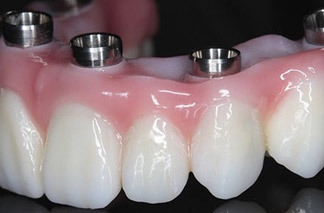 Screw retained crowns and bridges(angel correction if required). 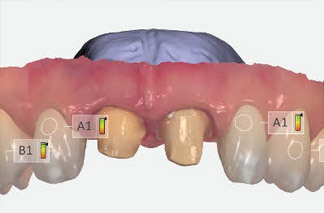 Custom abutments(cad or cast). Cement retained bridges. Placement/stabilisation and verification jigs. Radio-graphic and drill stents. 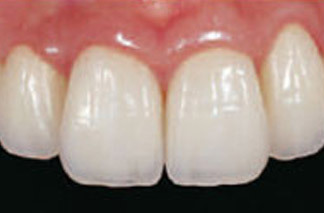 Layered E-Max veneers, crowns and bridges, E-Max inlays and onlays, Zirconia layered crowns and bridges, Zirconia Solid full contour crowns and bridges, Metal ceramic crowns and bridges, Temporary acrylic crowns and bridges. 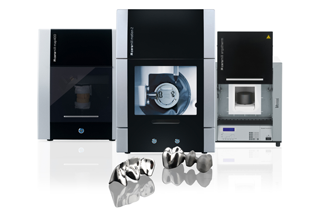 Our in house CAD/CAM systems allow us to offer an extensive range off products that combined with the technicians artistry result in a product that cannot be matched by convention methods alone. 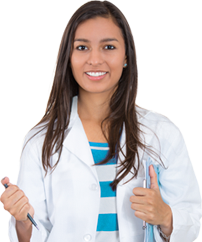 Our experienced team will take care of your patient during their visit to our modern lab. Digital shade matching, Photography, Consultation.